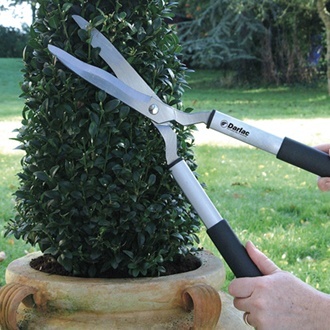 Darlac Lightweight Ladies Shear - suitable for general garden maintenance and precision clipping. Polished carbon steel wavy edge blades gives greater cutting efficiency. Alloy handles with rubber grips are comfortable to use. Very popular light and little shear suitable for general garden maintenance, precision clipping, topiary and hedge & grass trimming. Polished carbon steel wavy edge blades gives greater cutting efficiency. Alloy handles with rubber grips are comfortable to use.